Love the idea of installing a bar in your home? Lisa Dawson's gone the whole hog with hers and here she tells us how to create yours as the perfect party centrepiece. 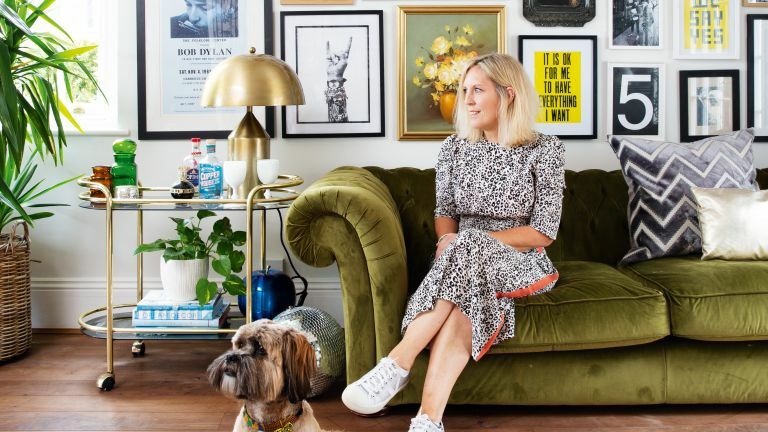 If you're part of our growing #sorealhomes Instagram community (if not, check it out @real_homes, it's fab), you'll know interior decor Instagrammer Lisa Dawson well. If not, let us introduce you to this doyenne of interior makeovers in her new, monthly column. Lisa's speciality? Mixing modern and vintage finds to create a home that's affordable and packed with character. Here's how she does it – in her own words. "When we viewed our house, one winning feature stood out as a major selling point." ''At parties, A home bar is somewhere for people to gravitate to rather than hanging round the fridge"
'Look for "bar" signs to help point people in the right direction, and use subtle lighting and greenery to make the area look welcoming. It’s a known fact that people always gather in the kitchen at parties. The best thing about having a home bar is that it provides somewhere for people to gravitate to rather than hanging round the fridge – always an unwelcome distraction when you’re trying to get your nibbles out of the oven.